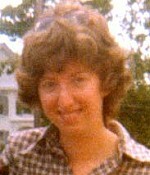 The 1977 unsolved homicide of Shari Roth. Shari Roth, age 22, left her home alone on Sunday August 21, 1977 in North Conway, NH to go hiking on Sawyer Brook Trail in Livermore, NH (between Bartlett and Lincoln). She did not return home and was reported missing that evening by friends. Her body was discovered on August 24, 1977. An autopsy indicated that she had been strangled to death.